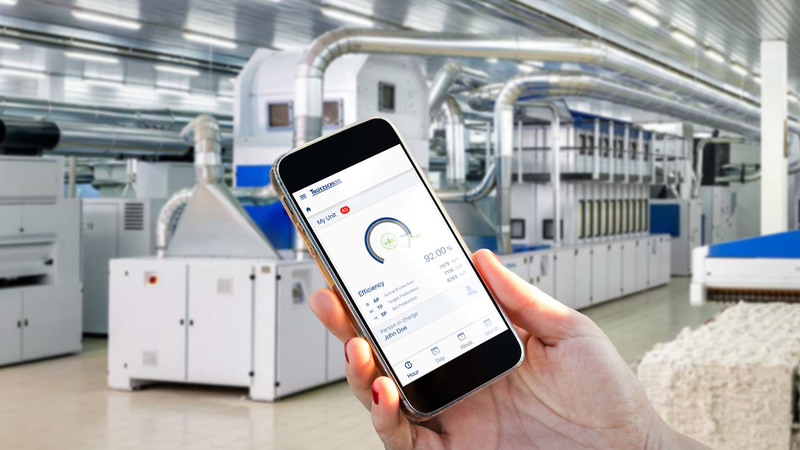 With the My Production app from Trützschler, companies know at any time and from anywhere in the world how their output is coming along. The app shows all information necessary for the control of output and quality data in real time at a glance, which enables the early recognition of essential developments and the faster elimination of problems. The measurable reduction of malfunctions leads to time and cost savings.